Most plays that deal with homophobia in schools look at the children in the playground, but what happens when the people in charge of our children are homophobic? 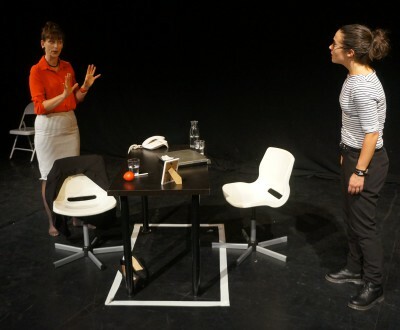 Direct from its run of the North West and Brighton Fringe Festival, Care Takers, is an intense two-hander that follows a new teacher who tries to do something about one of her pupils who is being bullied for being gay. However, to get something done, she finds herself battling an even bigger bully in the form of Mrs Rutter the Deputy Head. Homophobia remains a serious fault-line in our society and especially in our multi-cultural, inner-city schools where original research undertaken by Truant’s writer Billy Cowan showed these tensions to be still very real. Being a gay theatre company, Truant felt it was necessary to show how complicated things have become for teachers in these schools when it comes to dealing with homophobic bullying, and how vulnerable young gay people still are in these environments – especially if the system gets in the way of their safety. 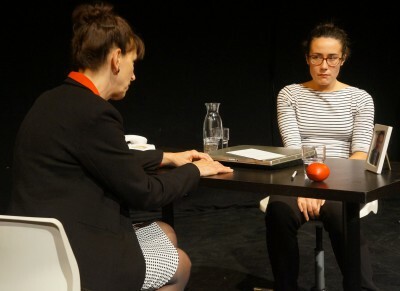 The play stars Penelope McDonald – who was nominated for Best Actress at the Dublin Gay Theatre Festival for her role as Mrs Rutter – and Emma Romy-Jones as Ms Lawson. Written and directed by Billy Cowan. Funded by Arts Council England and Edge Hill University. Music by Jamie Summers.